Happy mid-week, beauties! I am sorry that I am a little quiet on my social media lately but all I do is work on my bachelor's thesis basically every minute I can so there is nothing really to joyfully instgram or facebook about except you would like to see me in my jogging pants stressing about quotation and formating in Word. No please, let's cut that out. I hope that I will be able to shoot a new outfit for you this week though that is similar to this little outfit inspo I have for you today. 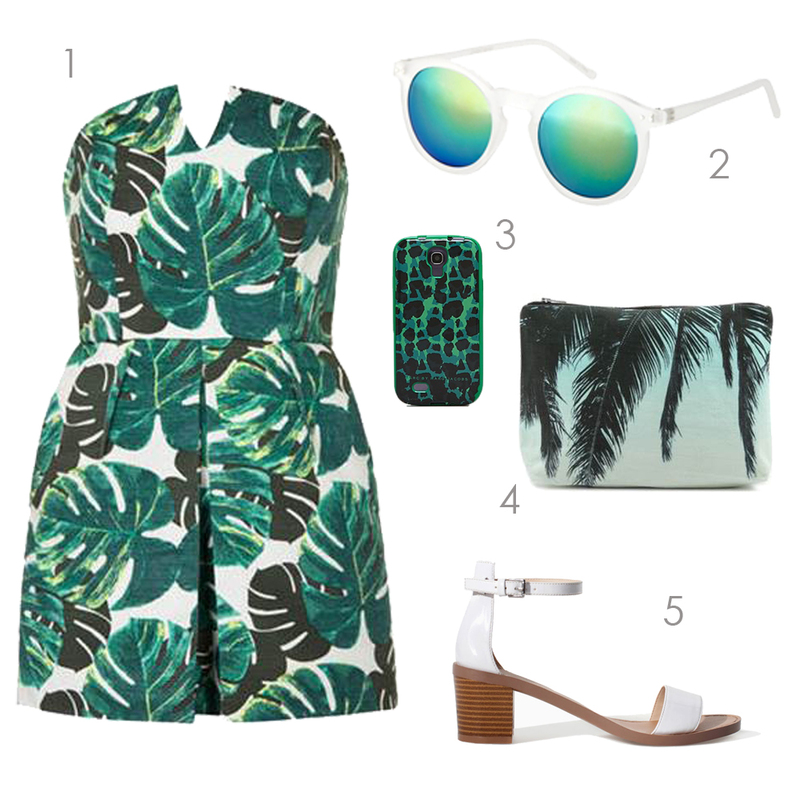 This season's number one print is the african jungle leaf as found on this Topshop playsuit. I hope you like it as much as I do!